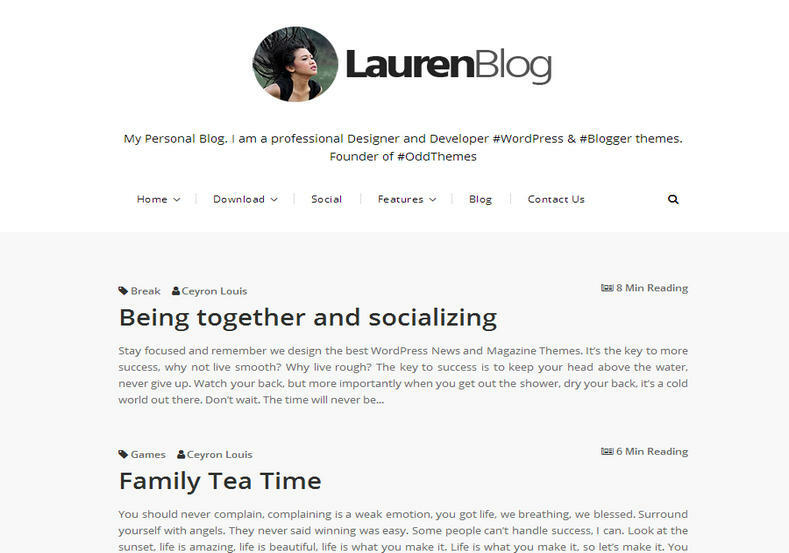 Lauren Blogger Template is a minimal and clean blogger template with responsive and simple design that will fit any device screen. It is a content focused template with simple but beautiful typography. This is a fast loading blogger template perfectly suitable for writers and at the same time it can be perfect for fashion blogs, daily blogs, makeup blogs, travel blogs, lifestyle blogs etc. Minimalist, White, Simple, Social Bookmark Ready, Simple, Responsive, Drop Down Menu, Instagram Ready, Browser Compatibility, Fast Loading.